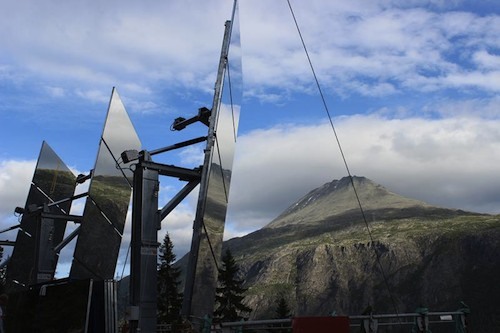 Residents of Rjukan, a secluded village in southern Norway, are about to receive some winter sunshine for the first time ever, thanks to a set of giant mirrors situated on a nearby mountain peak. The village with 3,500 residents is located in a deep valley, and does not get direct sunlight for six months of the year. Brrrrr. 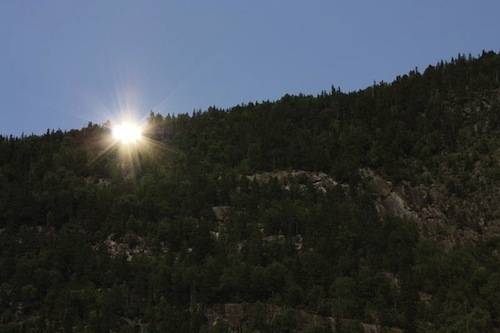 Apparently, the idea to install mirrors on the surrounding mountains is not a new one for the village of Rjukan. It has been discussed for as long as the village has existed, according to Phys.org. The chilly village was established to take advantage of a huge waterfall for a hydroelectric plant, and to produce chemical fertilisers. Back then, the village only had 300 residents. 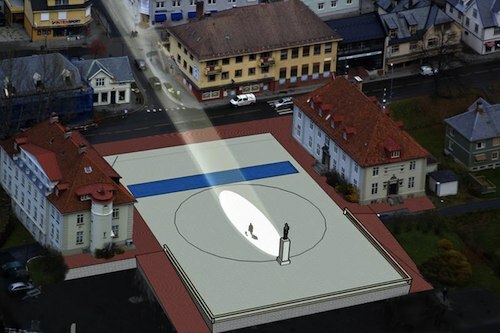 The original idea for the giant mirror project was updated by an artist from Paris, Martin Anderson, who first came to the village a decade ago. He explains that he became frustrated with people having to drive a long way out of the village in the winter just to get a little sunshine. There has of course been some opposition to the project from within the village, because of public funds being used on this instead of on other important projects and services. However, 5 million kroner (or 615,000 euro, $849,000) have been raised, with 4 million of that coming from sponsors. Three 17-square-meter (55.8-square-feet) mirrors have now been installed, and the project is about to be fully fired-up by the sun. During the testing phase, people in the village were said to be “beaming themselves” while basking in the deflected sunlight. A side benefit of the project is expected to be an increase in the number of visitors coming to the village to see the bright, new attraction. Previous post: Is Google Developing A Floating Data Center Powered With Wave Power?